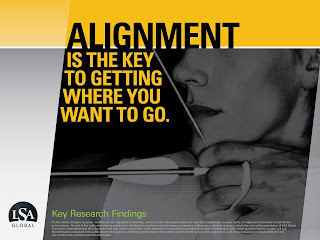 LSA Global Insights Newsletter: Organizational Alignment Research Findings - How Aligned Are You? Each year, our clients tell us that it gets more challenging to succeed. Leaders tell us this means bigger goals, increased complexity and tighter budgets. Employees tell us this means higher expectations, an increased pace of change and the need to do more with less. Yet, some leaders and teams significantly outperform their peers. We wanted to know why. So we launched a research initiative to understand what distinguishes the winners from the losers. Our presupposition? That Organizational Alignment (the optimum combination of business strategy, corporate culture and talent) makes the difference. We worked with 26 independent variables measured against 15 dependent variables of organizational performance. We surveyed 410 companies from across 8 industry segments that represent the fast growing middle market with 77% of respondents in management or leadership positions. While all 26 ingredients in the organizational alignment recipe significantly impacted performance and any alignment factor taken alone will not work in isolation, seven factors matter most. When your Strategy is clear enough to act, your Culture is high performing, and your Talent is differentiated, your company is set up to perform at its peak. 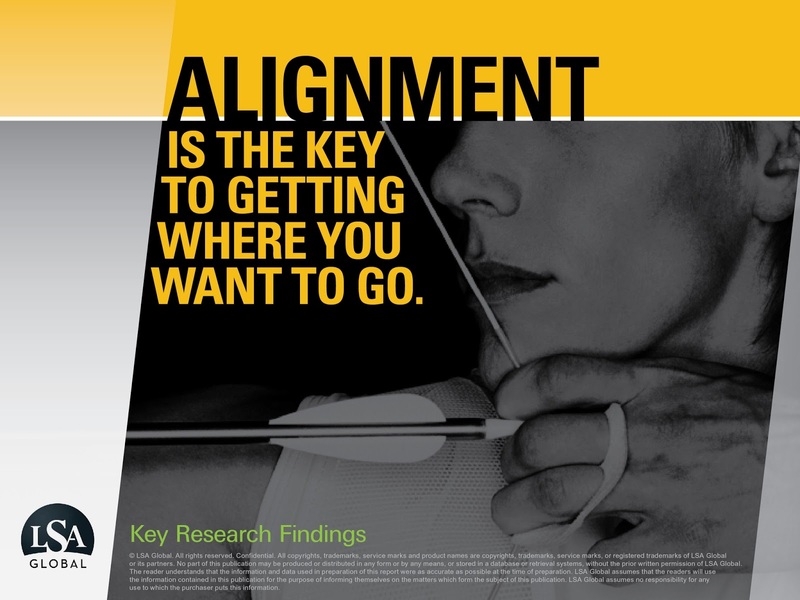 The critical question...Is your company aligned so you can be one of the winners?